MOL Walkin Drive in Mumbai | Hiring 0 – 3 Years Experience | 26th to 29th June 2017. Good News for the candidates who are searching for the latest jobs in Mumbai. MOL is conducting the recruitment drive for B.Com, BA, B.Sc, M.Com students in Mumbai. Aspirants who are interested to get placed in MOL for the position of the Associate, Senior Associate – (NonTechnical) they have to prepare MOL Test Papers and MOL Syllabus. With the help of these MOL Model papers, candidates can perform well in the selection process which is going to be conducted by the MOL Organization. Here we are providing the details which will be helpful for the applicants. Aspirants should have the Good Analytical and Comprehension Skills. Candidates who have Good knowledge in MS-Excel, Word, Powerpoint and Typing it will be an added advantage. Contenders can utilize this opportunity to set better career. It is not an easy matter to grab a job in IT Sector. Compared to the previous years this year Job openings in Mumbai had increased excessively. So we suggest the candidates do more practice with full effort. Preparing according to the MOL Test papers will make sure that the applicant is well prepared to face the competition. Candidates can also check other IT Jobs on our site All India Jobs for more updated and fresh Official Information. Refer to the various SOP, Reference Guides available in the dept, in the case of doubt, to check with his/her senior and get it clarified. Inputting the shipment details from shipping instructions for creating a Bill of Lading. Candidates should have Typing, Keyboard skills (30 wpm and above). Good in MS-Excel, Word, Powerpoint. Candidate with shipping back office experience of 1-2 years can apply. Other industry experience not considered. Aspirants should have Good Analytical Skills. Good English Communication (Spoken, Written). Candidates should be open for working in any shifts. 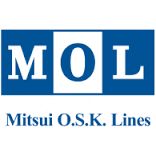 MOL (Mitsui O.S.K. Lines) was founded in 1964, following the merger of Osaka Shosen Kaisha (OSK) and Mitsui Steamship Co. Ltd., formerly Mitsui Line, under the Law Concerning the Reconstruction and Reorganization of the Shipping Industry. At that time the company was the largest shipping company in Japan. Mitsui O.S.K. Lines (MOL), is one of the world’s largest multi modal deep sea container. It carriers over 100 years of maritime history covering Asia, North America, Middle East, South America, Africa, Europe, Australia and New Zealand, with links to east-west routes. MOL in India was set up in June 2002. As per Forbes 2000 ranking of Top Global Companies, MOL is one of the only Three Global Ocean Carrier ranked among the world’s Top 1000 companies. MOL has set up offices in 7 different locations with Corporate office in Mumbai. Note: Candidates staying beyond vicinity boundary of Mira Road and Thane do not apply. Aspirants who are interested in attending for MOL Walkins which will be held in Mumbai from 26th to 29th June 2017 can read this entire post for accurate information. Candidates have to check the details before going to the venue. For any other doubts, it is highly appreciable if candidates check Official Notification. Marol Naka, Mittal Estate, Andheri Kurla Road. Aspirants who had completed the professional degree in B.Com, BA, B.Sc, M.Com streams and having 0 – 3 years of experience can attend for the walkin from 26th to 29th June 2017 in Mumbai Location.